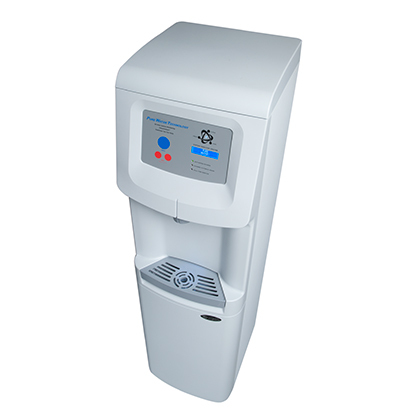 The World’s Most Advanced Point of Use Drinking Water System! 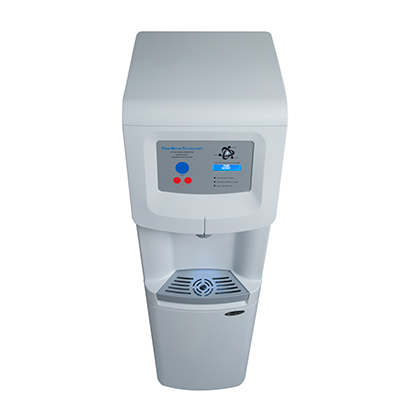 The 3i’s patented technology coupled with a four-stage Reverse Osmosis system, stainless steel holding tank and Activated Oxygen Injection™, delivers Freshness You Can Taste! 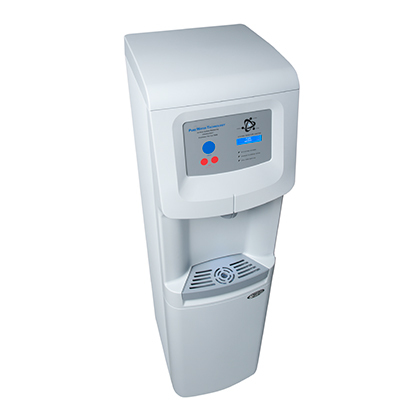 Now you can eliminate the environmental impact of bottled water systems, and enjoy Fresh, Healthy, Pure Water in your workplace. Anti-microbial touchpad surface and surrounding surfaces manufactured and tested to protect against cross-contamination of germs within the workplace. Provides constant feedback to the user and enables easy system programming. 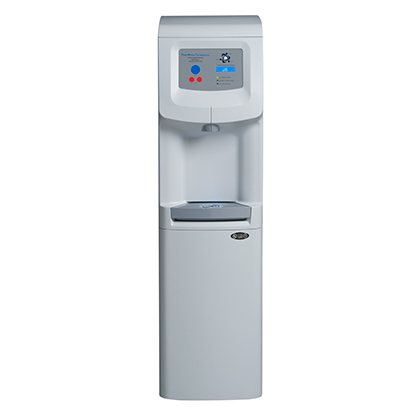 Pure-Touch buttons offer safe sanitary dispensing. 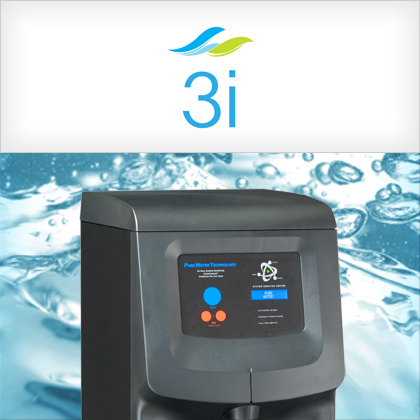 At the heart of the 3i’s patented technology is a microprocessor that controls and monitors activated oxygen injection, filter life, water quality, and all other system functions. 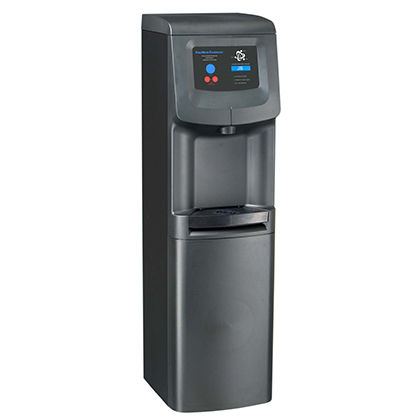 80 Gallon per day Reverse Osmosis filtration system removes contaminates including Total Dissolved Solids (TDS). Leaving you with pure drinking water that’s free of dirt, chemicals, metals, etc. Freshness You Can Taste – glass after glass. 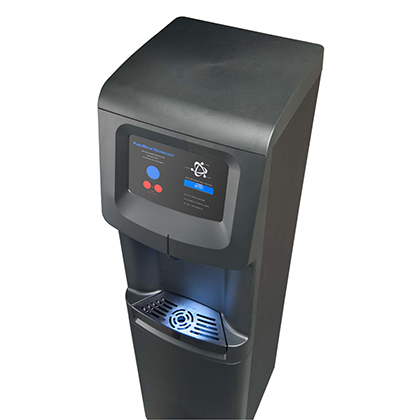 Eliminates microbiological contamination and does away within the tedious and often overlooked task of sanitizing the holding tank. Do you know why municipalities put chlorine in water? Chlorine is used to protect the water from bacteria and other harmful organisms. The problem is that chlorine smells and tastes bad. But what happens when you remove chlorine from water? Well, if left unprotected, the water quickly begins to grow a SLIMY BACTERIA known as BIOFILM. So where is SLIME growing? 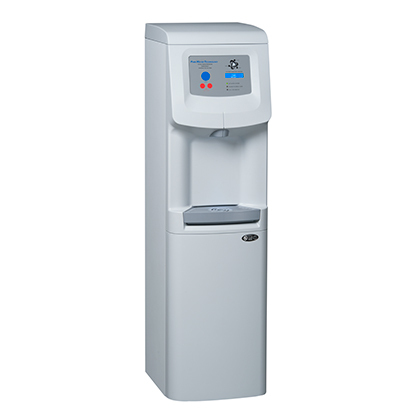 In the reservoir of your Bottled Water Cooler or Filter Cooler if you do not have in-tank sanitization. Bottled water vendors know about this problem but they are hoping you don’t. We care about the quality of your drinking water and so should you. 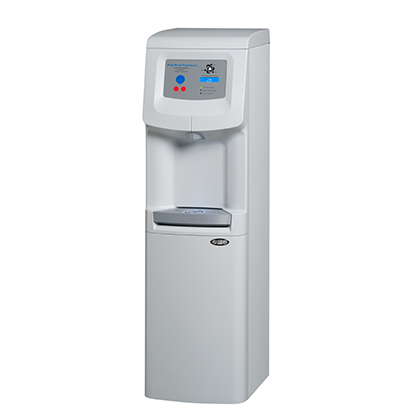 Click on “Start Your Free Trial Today” and let us show you how you can have SAFE, PURIFIED, and SANITIZED water at the push of a button! As an added bonus, your company may save money at the same time. The Fresh, Healthy, Pure Choice! 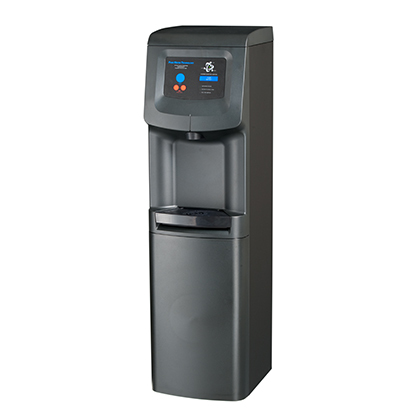 There’s a Pure Water Resources solution for every drinking water need. 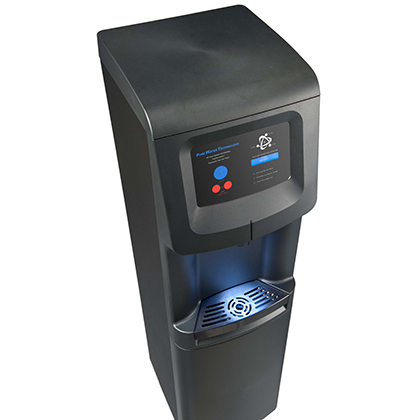 Designed to dispense FRESH, HEALTHY, PURE water in any workplace environment.